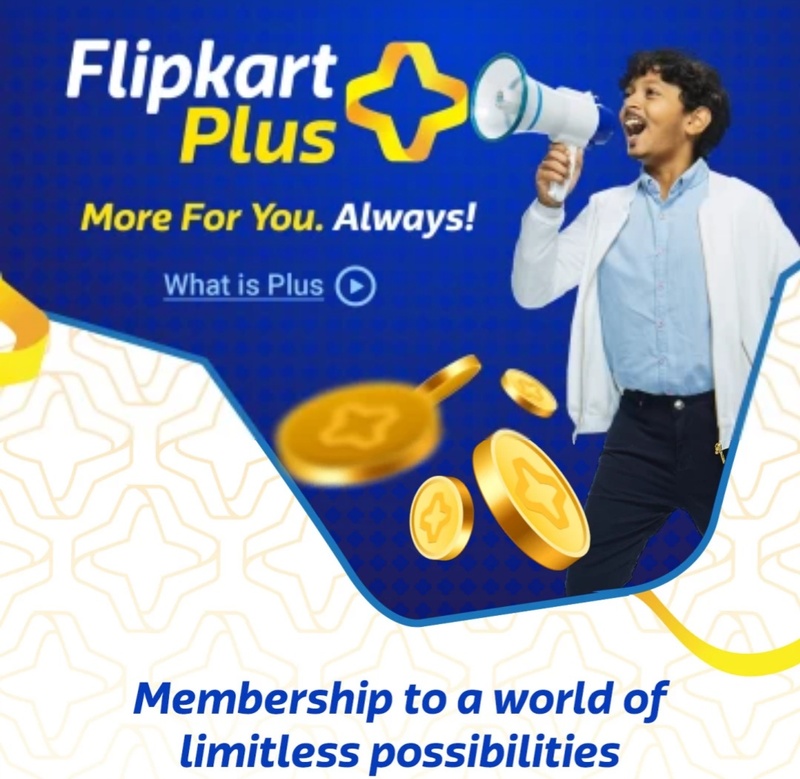 Flipkart plus is a exclusive benifits program thats unlocks more for you every time you shop.After become a plus member you will able to get all the benifits offering by flipkart. • Free delivery : If you get flipkart plus offer membership you will get free delivery charge while you place any order . • Fast shipping : Flipkart plus members will get faster delivery charge on select products. • Early Acces : The plus members will get acces to select sale events few hours before the sale events. • Superior and Priority customer support : The customers will experience a faster response time during customer support. • Exchange coins for offer : Members can claims great offer on shopping , travel & entertainment. Some offers will free while u get plus membership. You can become flipkart plus member by 50 plus coins . After getting the 50 coins you will apply for membership by clicking join buttom. The 50 plus coins will be used for activating your membership. After became a plus membership you will be enjoy all the benifits of flipkart plus offer. For 50 plus coins you have to shop on flipkart. You will get 1 plusCoin for every Rs.250 scent . You can yearn a maximum of 10 plusCoins per order. For 50 plusCoins you have to shop approx 12 thousands minimum . 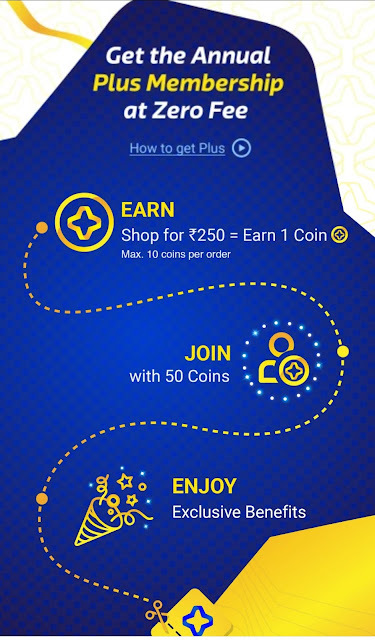 So guys dont waste your time ,go and shop on flipkart to get 50 coins by which you will become member of flipkart plus and for enjoy.